· Development is more important than winning. · Off-season emphasis placed on individual development. · Quality repetition of skills is essential. · Players train to develop athleticism. · Relaxed competition promotes creativity. · Quickness and agility training for improved speed. 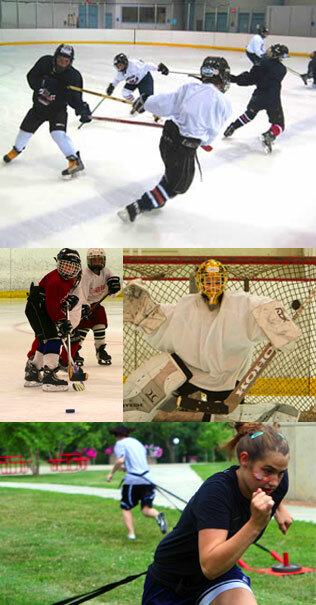 · Stick handling, passing and shooting stations for increased hand skills. · Games and other sports used for cross training.